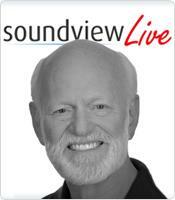 In this powerful Soundview Live webinar, How to Create Behavior Change that Lasts, bestselling author and world-renowned executive coach Marshall Goldsmith examines the environmental and psychological triggers that can derail us at work and in life. Filled with revealing and illuminating stories from his work with some of the most successful chief executives and power brokers in the business world, Goldsmith offers a personal playbook on how to achieve change in our lives, make it stick, and become the person we want to be. How environmental and psychological triggers can derail you at work and in life. How you can overcome the trigger points in your life, and enact meaningful and lasting change. A simple “magic bullet” solution in the form of daily self-monitoring, hinging around what Goldsmith calls “active” questions. The six “engaging questions” that can help you take responsibility for your efforts to improve and help you recognize when you fall short.